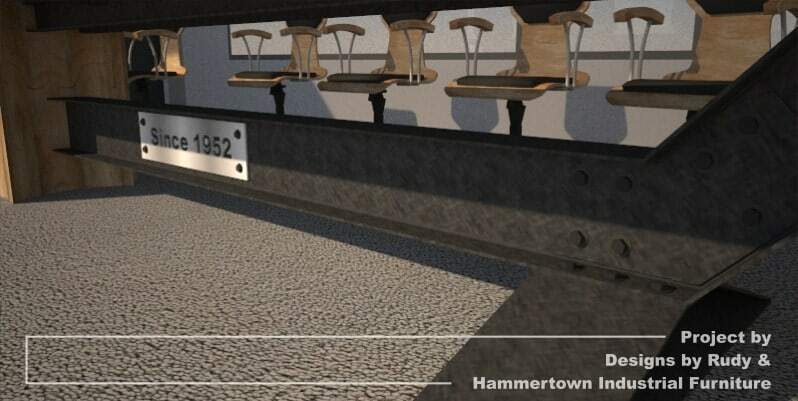 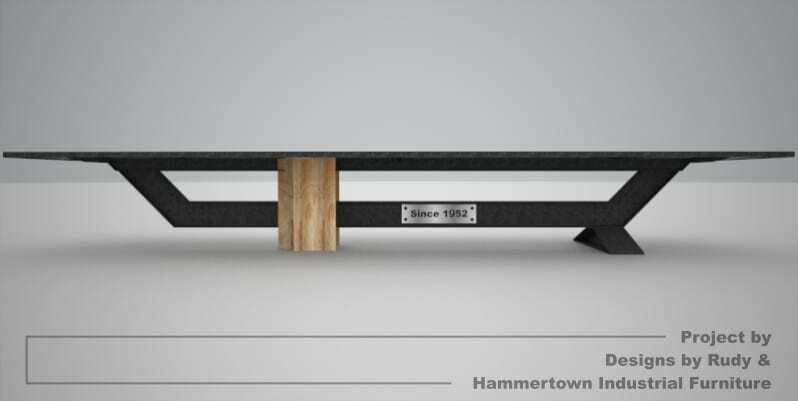 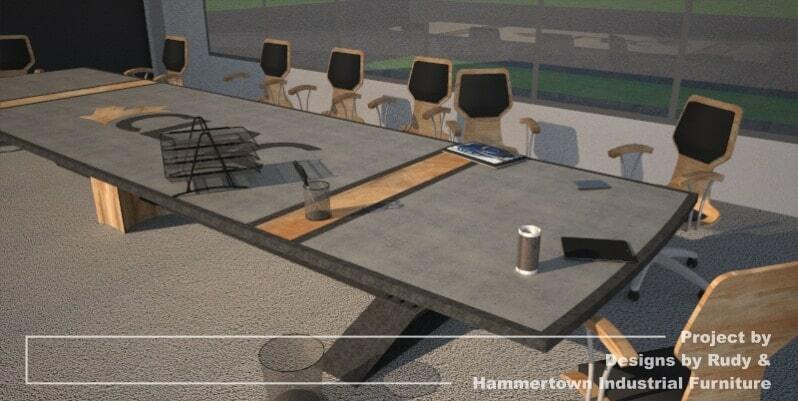 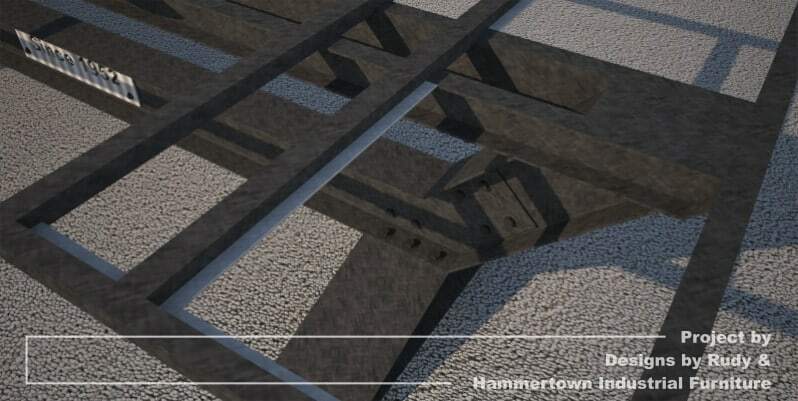 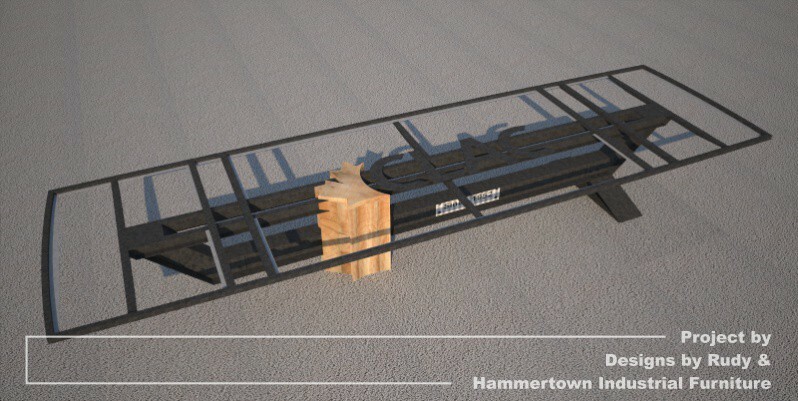 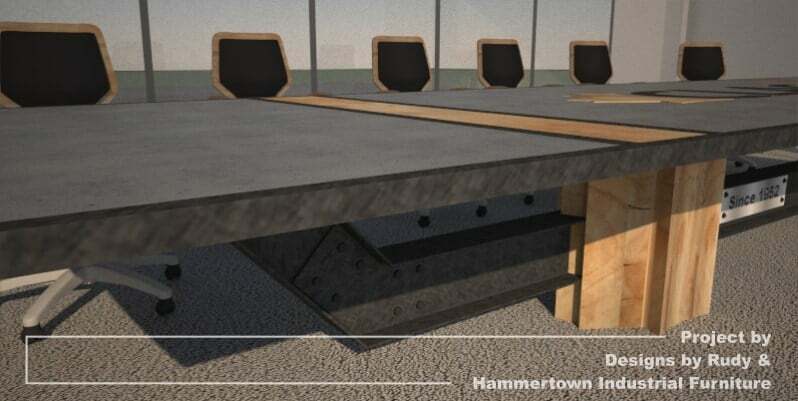 A couple of months ago I was asked by Hammertown Industrial Furniture, a company building custom and concrete furniture in Hamilton, Canada, for some concrete conference table design ideas. 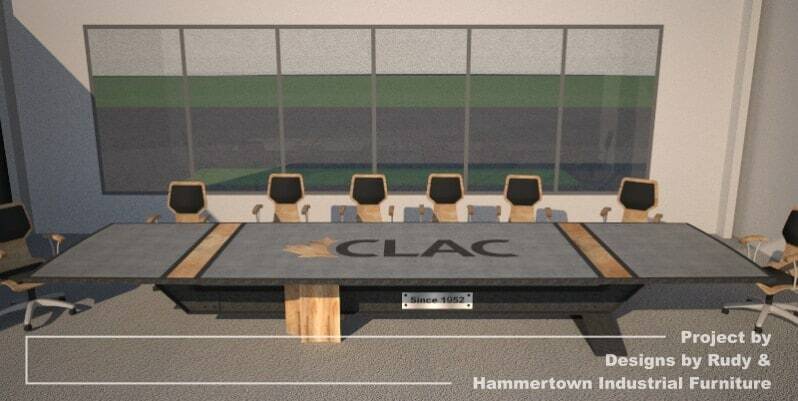 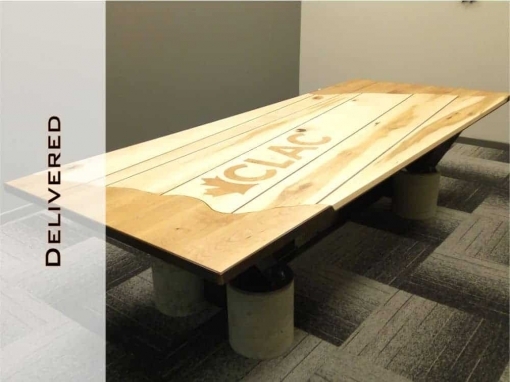 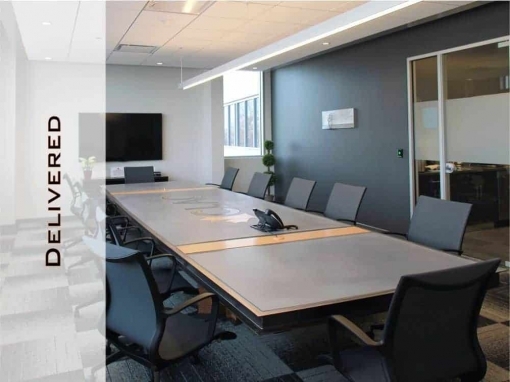 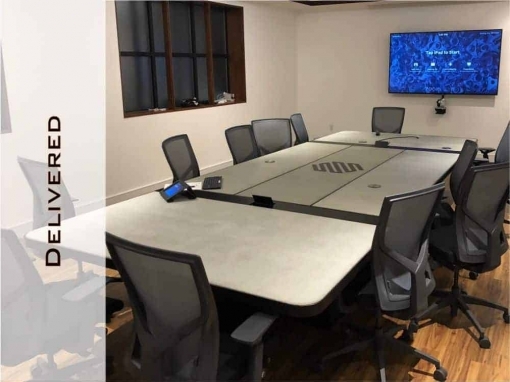 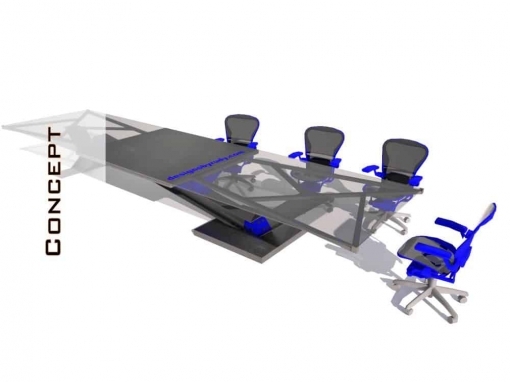 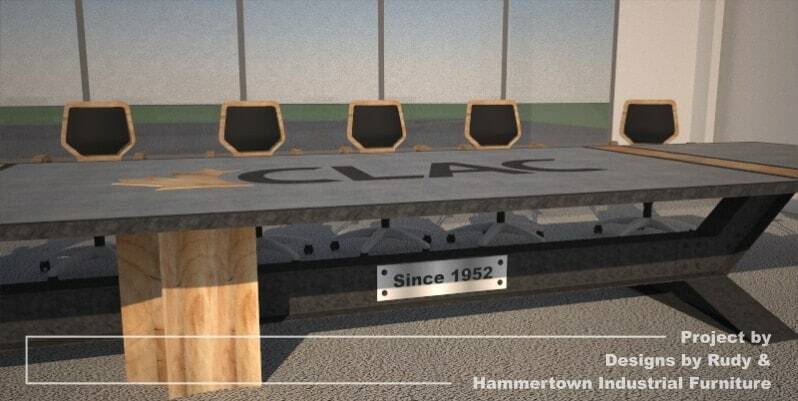 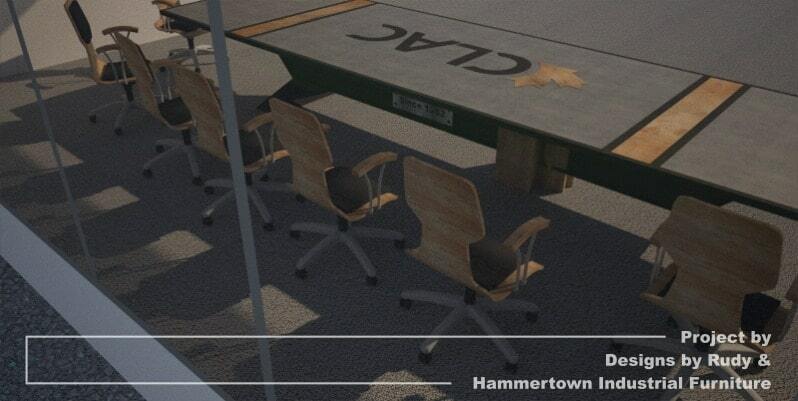 That’s how this signature board room table (renderings below) designated for the primary meeting space at a new site of CLAC (Christian Labour Association of Canada) was born. 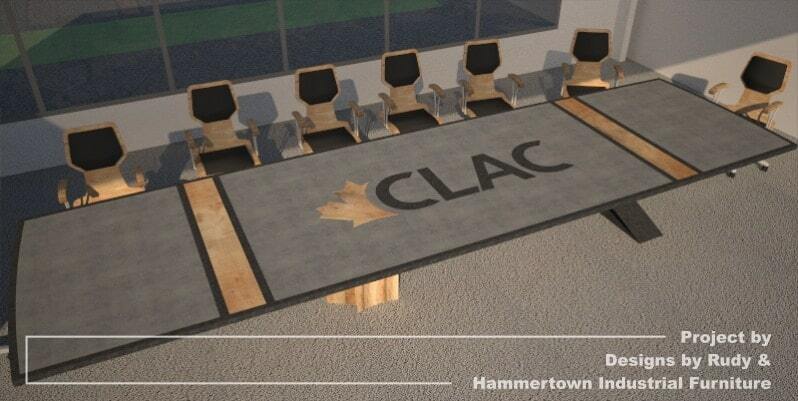 CLAC is a trade union that serves more than 60,000 workers across Canada and that has been operating since 1952. 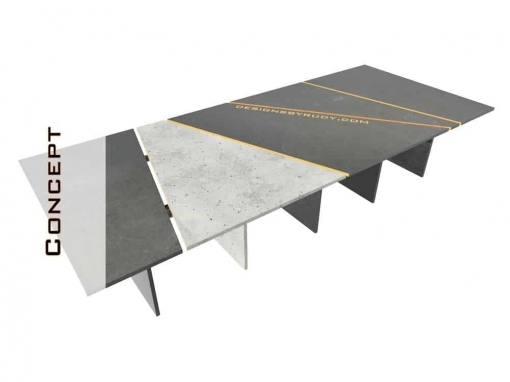 The 18′ x 5′ steel, wood, and concrete table has asymmetrical steel I-Beam supporting structure with one side embedded into a maple leaf shaped wooden column. 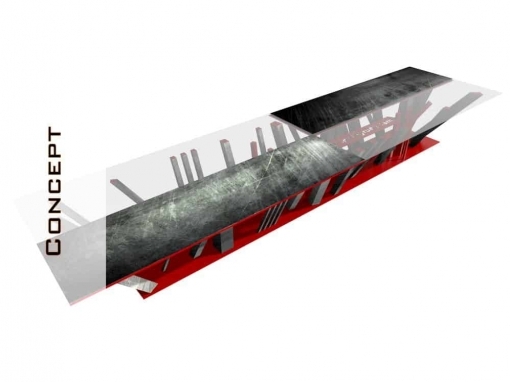 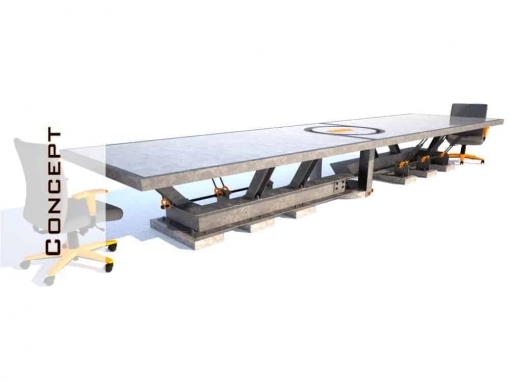 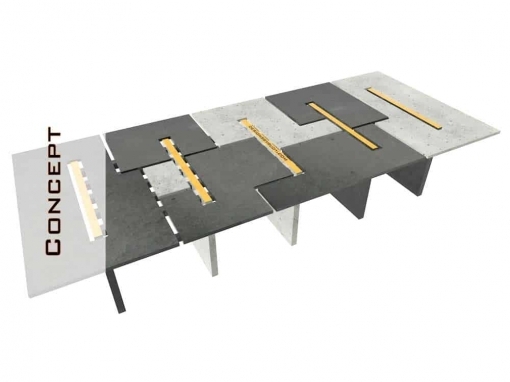 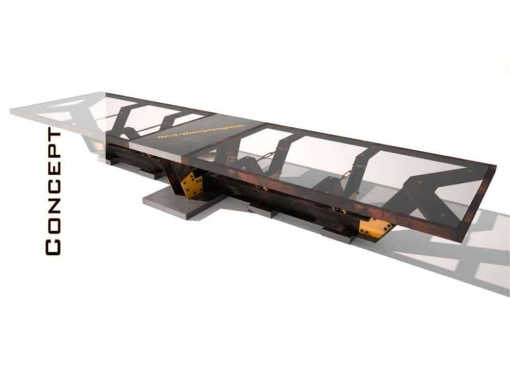 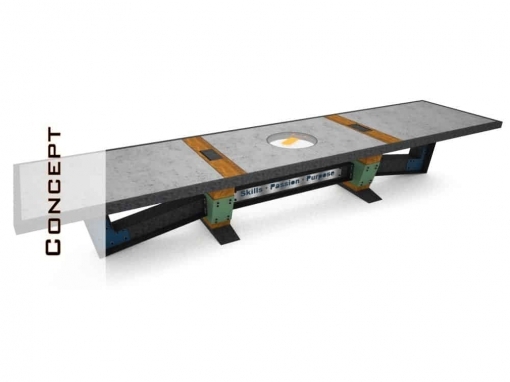 Concrete conference table’s top steel frame contains 3 fiber reinforced concrete slabs and 2 maple panels. 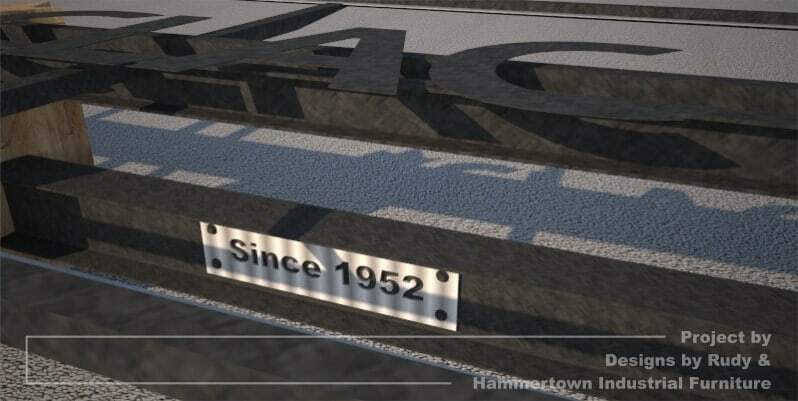 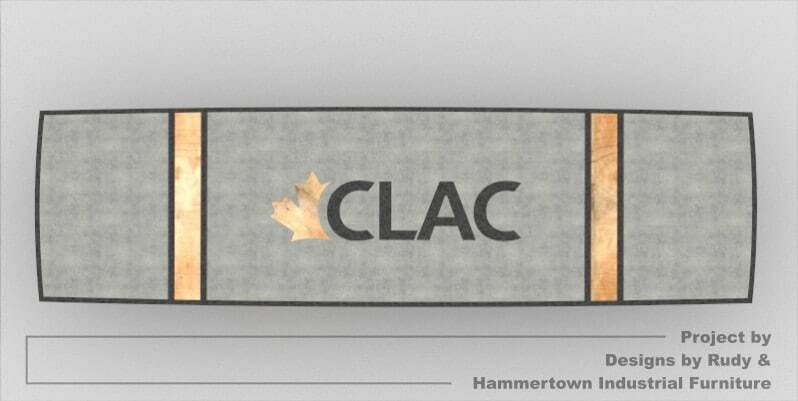 Center slab section displays large CLAC’s logo that includes partial maple leaf shape – top surface of a wooden column protruding from concrete. 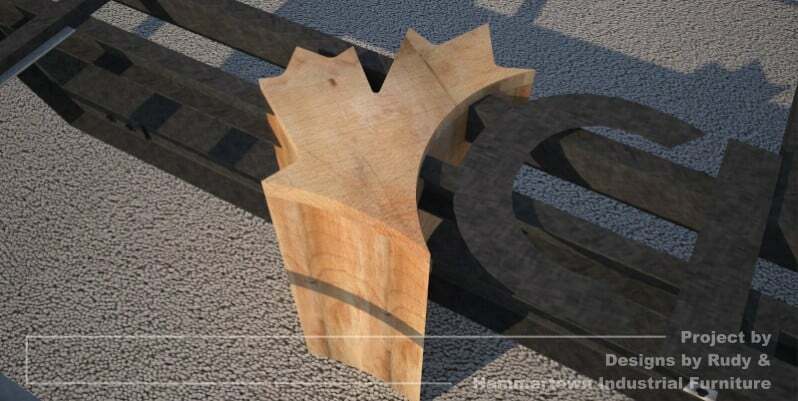 The four logo letters are laser cut from a steel plate and set in concrete. 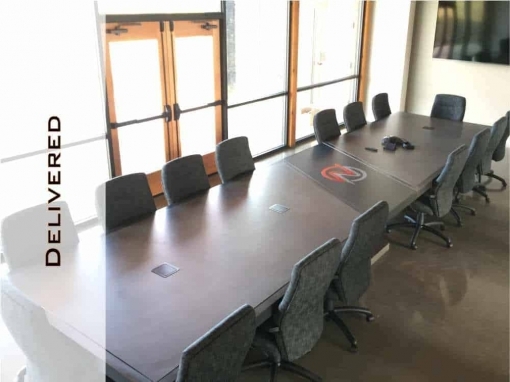 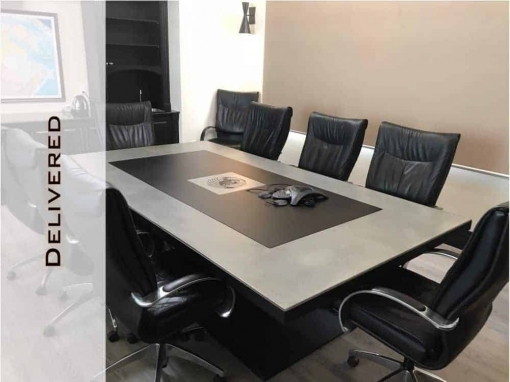 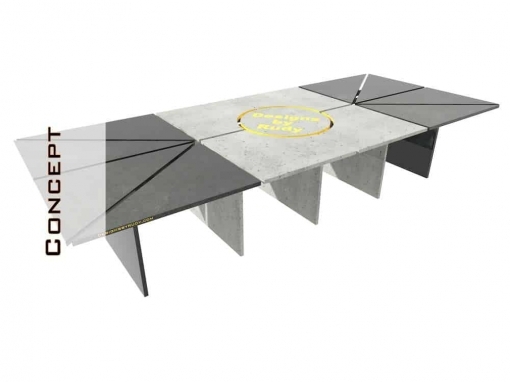 This board room concrete table has been already finished, deliver, and installed. 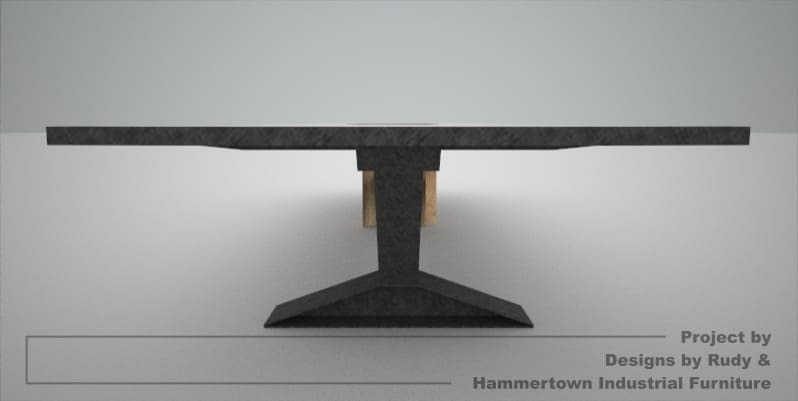 It was handcrafted entirely by Drew Neven & Steven Voortman, two skillful artisans behind the Hammertown Industrial Furniture brand. 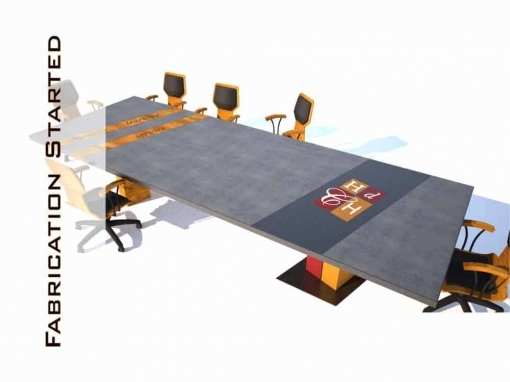 I will have pictures and a video of the concrete board room table shortly. 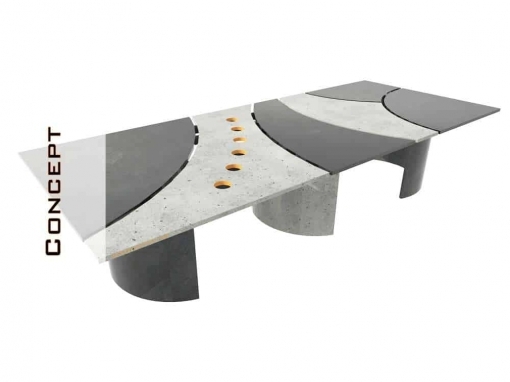 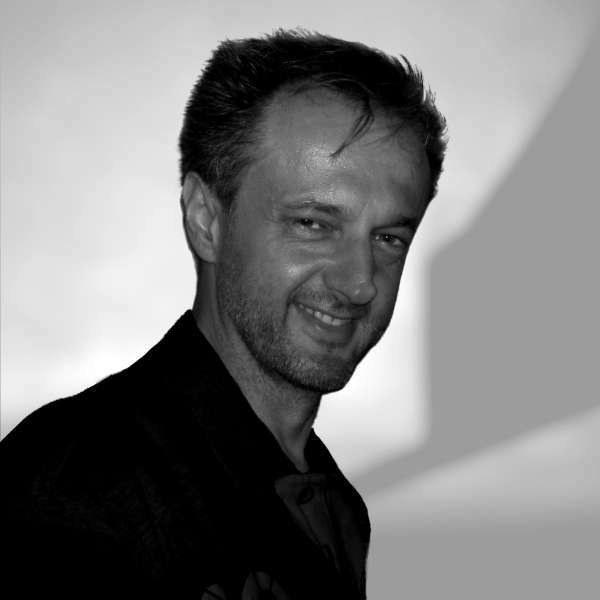 Please let me know if you’d like to make a statement with a unique piece of concrete furniture in your home or office. 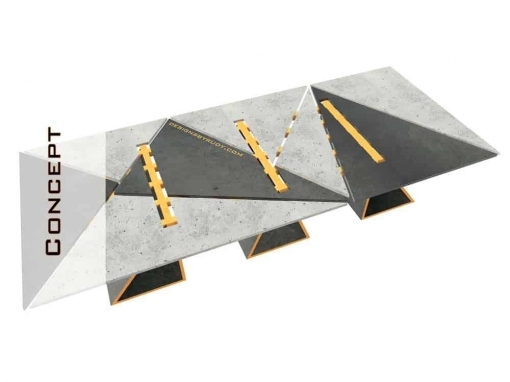 I’ll make it happen.